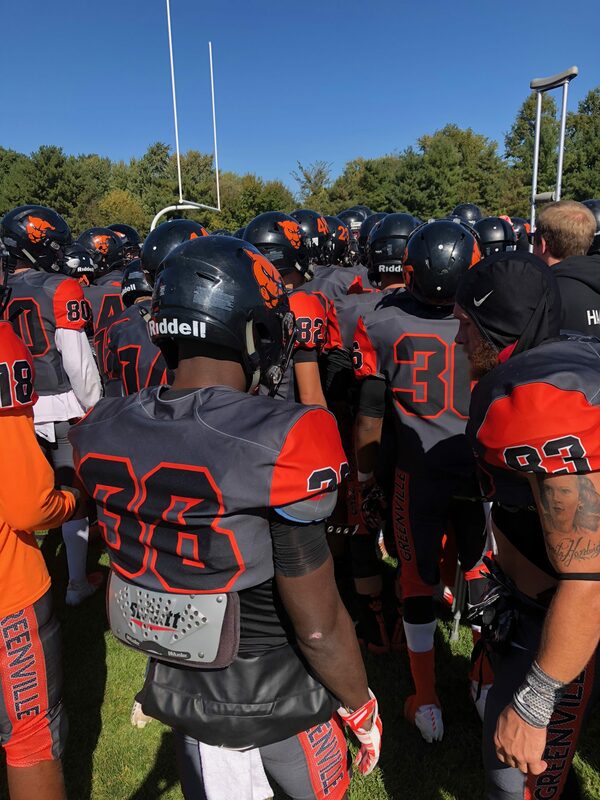 This past weekend, the Greenville Panthers Football team proved once again that if they execute, eliminate the big plays, and play together as a unit they are a tough team to beat. 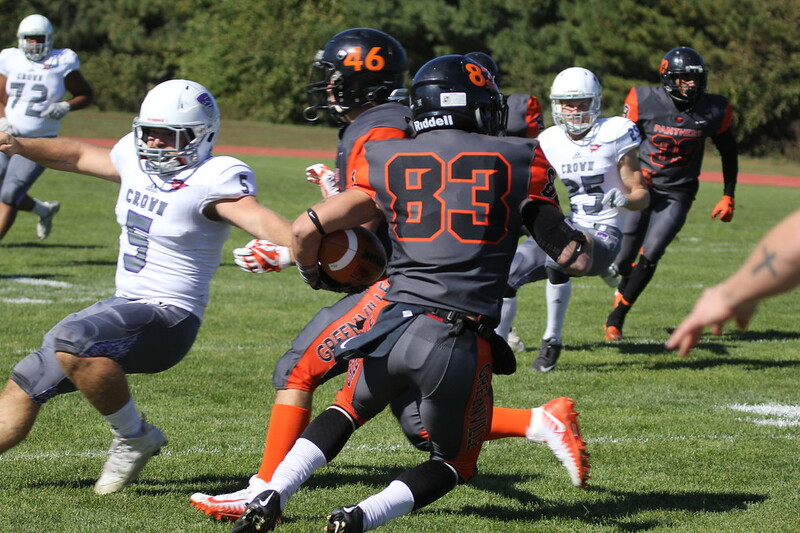 They defeated conference foe Crown College in a blow out 41-14 victory on a beautiful Saturday afternoon. 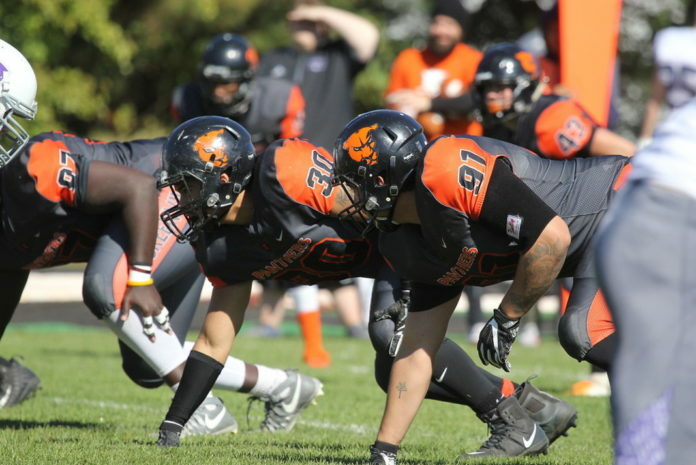 This earned them their first win at home since the 2017 season when Panthers defeated the University of Minnesota Morris 49-21. The Panthers now improve to 2-5 on the season with a high chance of winning out the next couple of games. Eric Kranh running into the endzone for a Panther Touchdown. Media By Dana Fitch. When it came to execution, the offense was lighting it up from all cylinders and racked up a total of 529 yards and scored a season-high of 41 points. For leading the improves, junior receiver Eric Kranh had a game to remember putting video game type of numbers by scoring total of 4 touchdowns (2 receiving and 2 rushing) with the total of 5 receptions for 104 yards also adding 65 rushing yards. Kranh’s performance was enough for him to earn The UMAC Offensive Player of the Week. On the defensive side of the ball, things seemed to be working in their favor by eliminating big plays, forcing a few turnovers and a blocked punt. Leading the defense was sophomore defensive tackle Anthony Esquivel with 11 tackles and senior defensive tackle Mark Barigye with 6 tackles and 1 tackle for loss that resulted in 2 yards. 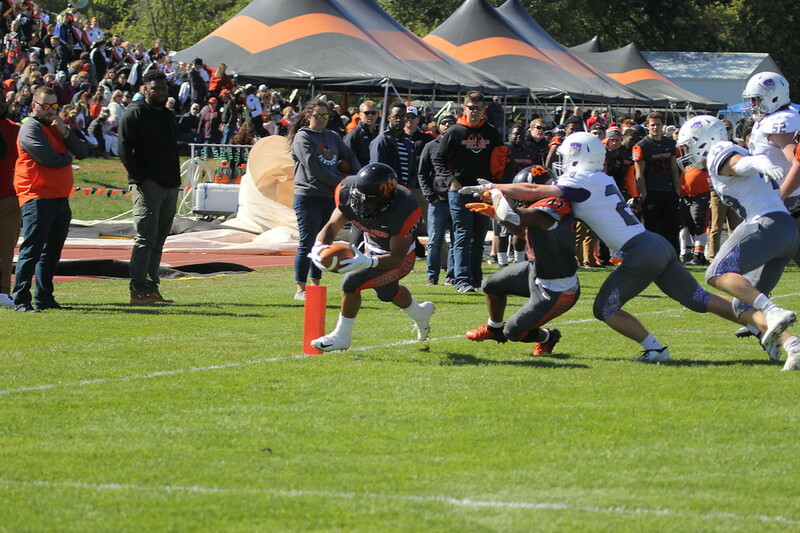 Following those performances, junior safety Joshua Robinson was responsible for the blocked punt early in the first quarter and junior saftey Brock Buller who got an interception. Miles looking for the open space to gain the first down. Media By Dana Fitch. Coming into this week, the Panthers look to be playing against another tough conference opponent as they prepare to face MacMurray College who is well known for a very explosive offense on the ground. With momentum on the Panthers side, they come into this game pretty confident but still have key objectives they really want to focus on to secure the victory. On the defensive side of the ball, besides discipline, their main focus is still eliminating the explosive plays and leaving everything on the field. As for the offense, it’s all about executing and embracing the challenge day by day to outwork your opponet. If the Panthers complete all the challenges and focus on what they need to achieve then the game will work heavily in their favor. This Saturday will be the last home game of the 2018 football season. It will also be the last home game that the seniors would play. Therefore, it would mean a lot if you came out and supported our seniors this upcoming Saturday at 1:00 PM. Panthers getting hyped during Pre-game. Media By Justin Willis. Next articleIs Greenville University Really Safe?